As reported by ABC15, the child’s parents took the 2-year-old to a doctor when he had a fever of 105°F (40.5°C). The doctor then instructed the parents to take him to hospital. However, the parents say the child’s fever broke after the doctor’s visit and so they never took him to the hospital. Upon finding this out, the doctor called the Arizona Department of Child Safety (DCS), who then called police to check on the child. State Representative Kelly Townsend, a Republican in District 16, played a huge part in getting legislation passed which requires the Arizona DCS to get a search warrant to remove children from their home in non-emergency situations. 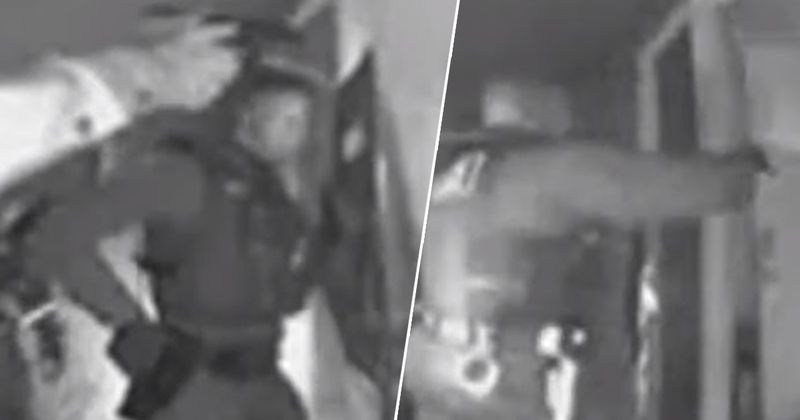 However, she says she never thought this would be the result and says she is troubled by the footage which shows the officers entering the family’s home. The doctor chose to use DCS to remove the child and DCS chose to use the police and the police chose to use the SWAT team. That is not the country that I recognise. At that point who now owns control over the child? And it seems like we’ve given that now to the doctor and the parent no longer has the say or they risk the SWAT team taking all of your children and potentially the newborn. Townsend added, ‘we need to admit that this situation was a mistake,’ before saying she can see both sides of the story: a concerned doctor and protective parents. The family’s attorney, Nicholas Boca, described the whole situation as ‘ridiculous’ and stressed that a fever is not enough motivation to kick a family’s door down. All because of a fever. A fever! It’s absolutely ridiculous. That type of kicking your door in, with guns drawn… it should be reserved for violent criminals. Although the doctor had feared the child had meningitis, he actually had an upper respiratory infection. ABC15 reports the parents are fighting to get their children back.